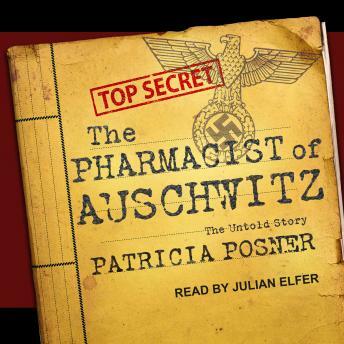 The Pharmacist of Auschwitz is the little-known story of Victor Capesius, a Bayer pharmaceutical salesman from Romania who, at the age of thirty-five, joined the Nazi SS in 1943 and quickly became the chief pharmacist at the largest death camp, Auschwitz. Based in part on previously classified documents, Patricia Posner exposes Capesius's reign of terror at the camp, his escape from justice, and how a handful of courageous survivors and a single brave prosecutor finally brought him to trial for murder twenty years after the end of the war. Set against a backdrop ranging from Hitler's war to conquer Europe to the Final Solution to postwar Germany's tormented efforts to confront its dark past, Posner shows the appalling depths to which ordinary men descend when they are unrestrained by conscience or any sense of morality.